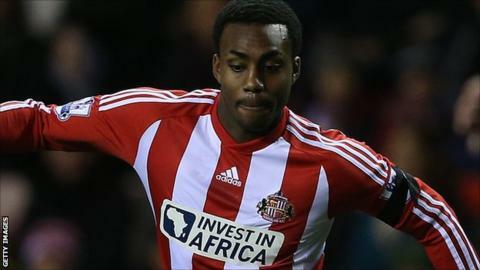 Defender Danny Rose says his loan spell at Sunderland is a chance to impress with his future at parent club Tottenham Hotspur uncertain. The England Under-21 international has become a first-team regular at the Stadium of Light, with 11 appearances. "I'm here on loan but for me this is a chance to show everybody what I can do," Rose told BBC Newcastle. "I don't know what's happening with my career at Tottenham so now I'm playing for my future." He has made only 29 appearances for the White Hart Lane club following a £100,000 move from Leeds United in July 2007. Prior to joining Sunderland from Spurs in August, Rose had been sent on loan to Championship clubs Bristol City, Peterborough and Watford. Meanwhile Rose's performances have contrasted with those of the team as a whole, as the Wearsiders have recorded just one win in nine games - of which five of those were defeats. Martin O'Neill has praised the mentality of the Doncaster-born loanee, speaking of his fearlessness, although Rose believes it is easier as a temporary addition to the squad to cope with the struggle. "I know it's difficult for the lads who are here full-time, but I just want to give 100% and I'm always positive," he continued.